Casting Announcement – Who Is Playing Alexis? We are pleased to announce that Scottish-born actress Innes Anderson will be playing the role of Alexis in episode 4 of Cops and Monsters. Innes has been involved with drama, dance and musical theatre groups around Inverness and the Highlands from a very young age. Between the ages of 11 and 15 Innes was heavily involved with the Youth Music Theatre UK organisation and spent her summers travelling up and down the country from Aberdeen to Plymouth performing and collaborating on many different shows. When she reached 16 Innes auditioned and gained a place at the Musical Theatre Course at the Dance School of Scotland for two year of intensive MT training. It was at The Dance School where she met some incredibly inspiring tutors and discovered that her true passions lay in acting. She then gained a full scholarship to The Academy of the Live and Recorded Arts in the North of England, during which she’s performed classical roles in ‘Antony and Cleopatra’, ‘The Comedy of Errors’, ‘Candide’ and ‘As You Like It’. As well many more roles in contemporary pieces such as Louise in Road and Wendla in Spring Awakening as well as working a lot with TV, film and radio. 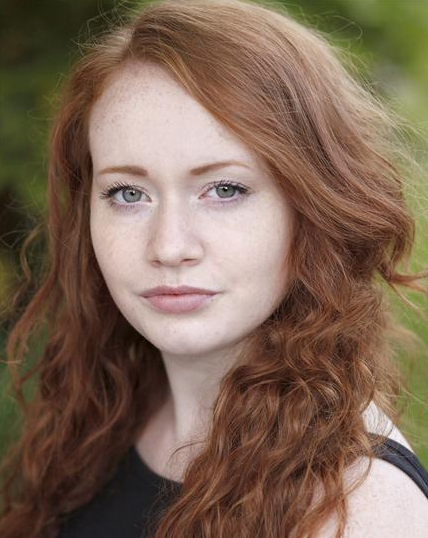 Since graduating from ALRA in October 2015 with a BA Hons degree in Acting she has returned to Scotland to continue her theatre and film journey on home soil. Filming of episode 4, “In Crimson”, by Ian Smith and Fraser Coull, takes place on the 19th and 26th of March in Glasgow.